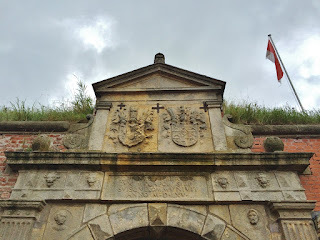 Today's post is a bit of a throwback - at least for me as it has actually been almost three years since I visited the Festung Dömitz. 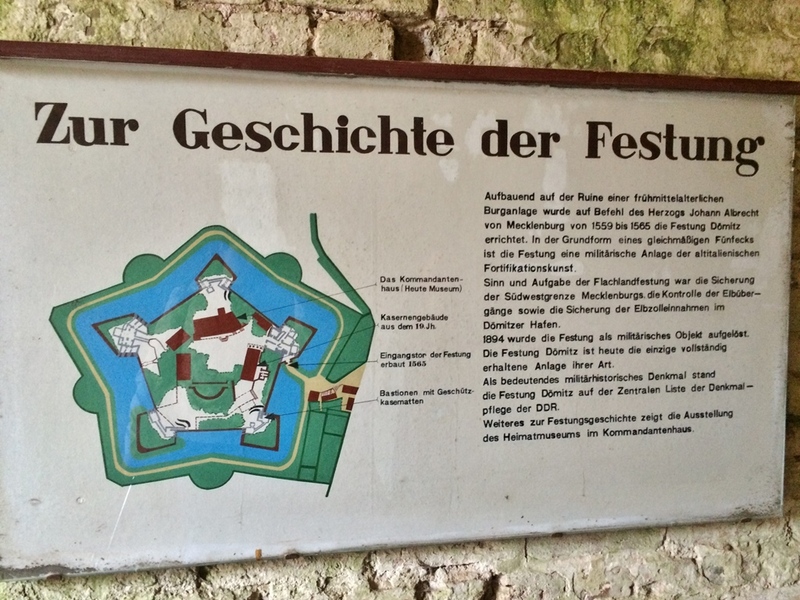 Festung means fortress in English and, truth be told, I don't find fortresses the most fascinating of stuctures. (In case you hadn't noticed yet, Baroque and Rococo are way more up my alley.) 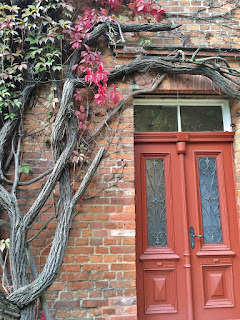 But when I'm in a region, I hardly pass up the chance to visit any historical structure. 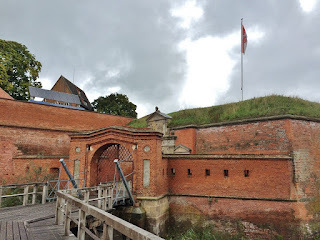 The Festung Dömitz is a bastion fort located on the banks of the Elbe, one of the major rivers of Central Europe that has always been one of the greatest natural divisions in what is now Germany. 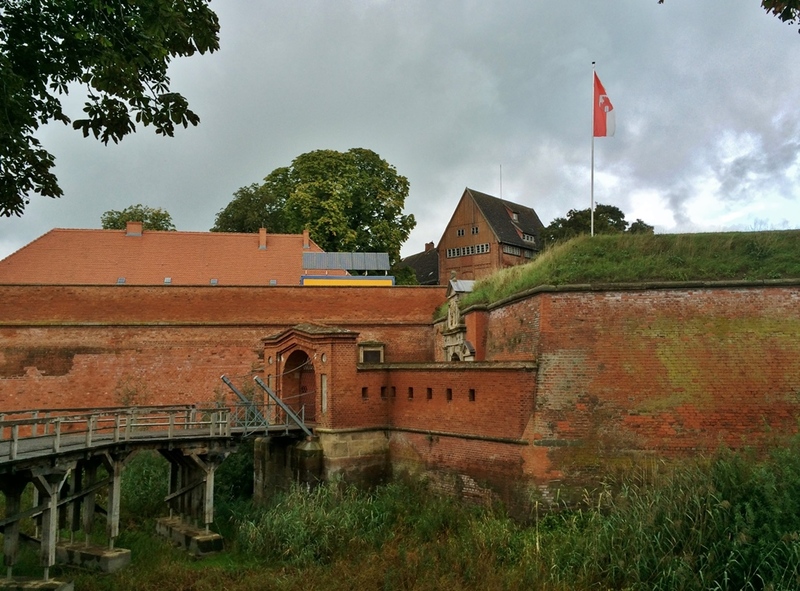 Already between 1559 and 1565, Duke Johann Albrecht I of Mecklenburg-Güstrow built the fort to secure Mecklenburg's south-western border. It was built on the site of an older fort, which had been built in the 13th century. 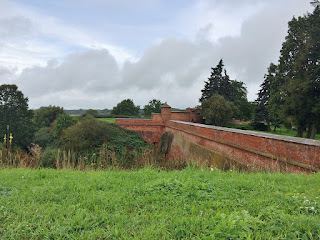 The Duke commissioned Italian military engineer Francesco a Bornau to draw up plans for the fortress that would become the largest and strongest in all of Mecklenburg. As is the case with so many other examples of military architecture, the Festung was designed with functionality rather than aesthetics in mind - after all, it was used to defend and safekeeping rather than to be adored. 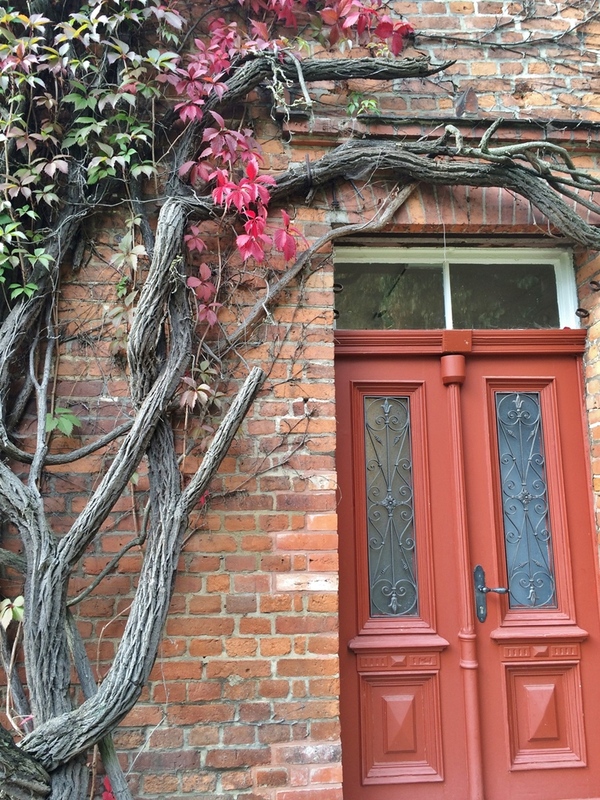 The only part of the structure that is ornate is its sandstone main gate decorated with carved reliefs, including the coats of arms of Mecklenburg and Brandenburg. 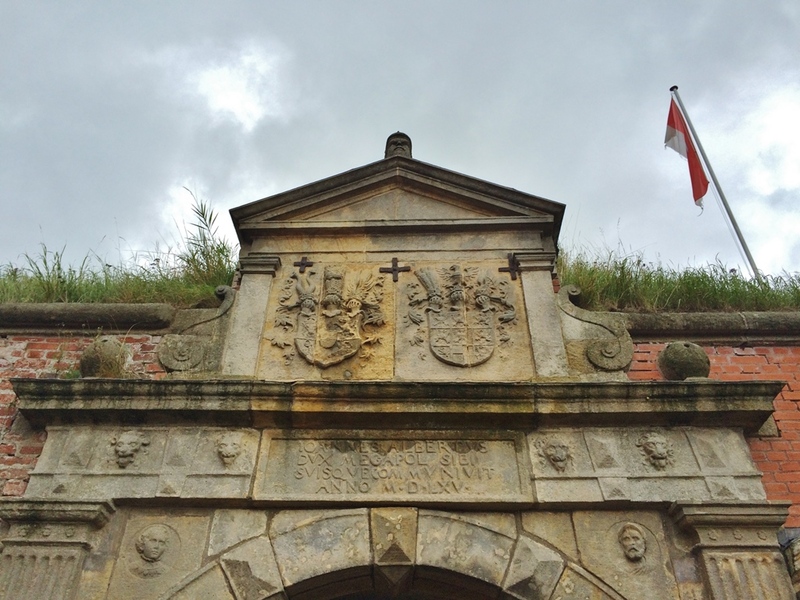 During the Thirty Years' War, the Festung changed hand numerous times and was used as a base by both Tilly and Wallenstein. During the Battle of Dömitz in 1635, the whole town was burned down. At the beginning of the 18th century, the fort was used as a prison and madhouse. 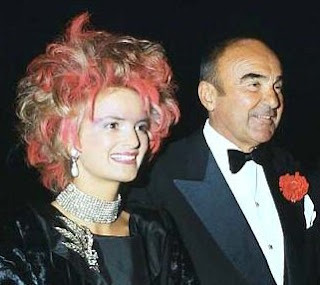 Many years later, Low German novelist Fritz Reuter was to become the Festung's most famous prisoner. Between 1719 and 1723, it was temporarily used by Duke Karl Leopold as his residence during the Reichsexekution, an imperial intervention against the Duke after quarrels between him and the local nobles before, in 1755, the prison and madhouse were expanded. During the Napoleonic Wars, the Festung and town of Dömitz were shelled and captured by French and Dutch troops. 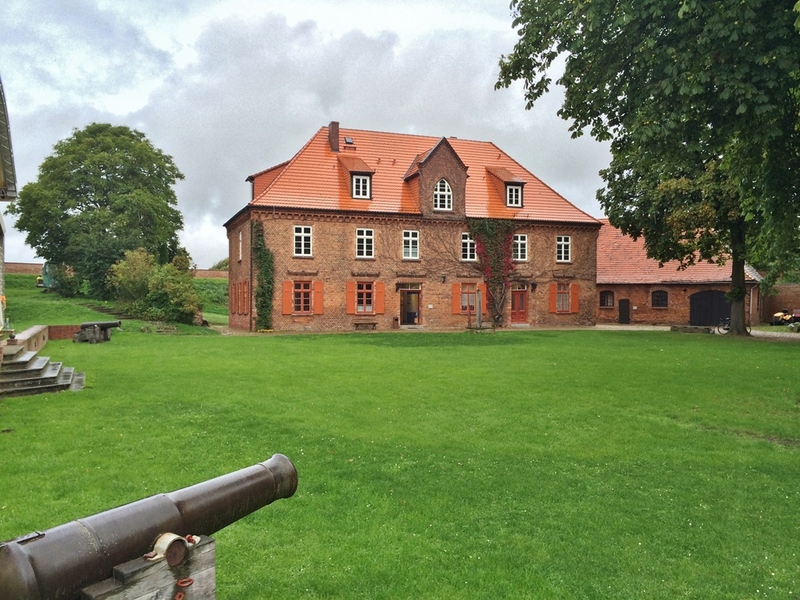 Under Grand Duke Friedrich Franz II of Mecklenburg-Schwerin Festung Dömitz was extensively restored during the 18th century. 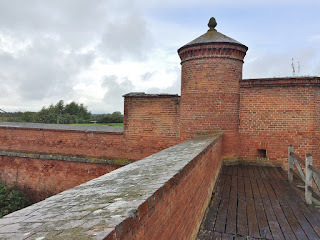 Over the centuries, the fort had been altered a number of times with the only original building within the fort being the Kommandantenhaus (Commander's House), since all other structures were demolished and rebuilt at some point. With the unification of the German Empire, the Festung became obsolete in 1871. It was decommissioned by the military in 1894 and later used for civil purposes including administrative buildings. The fort was used as an air raid shelter during World War II and the buildings inside housed refugees in the years following the war. 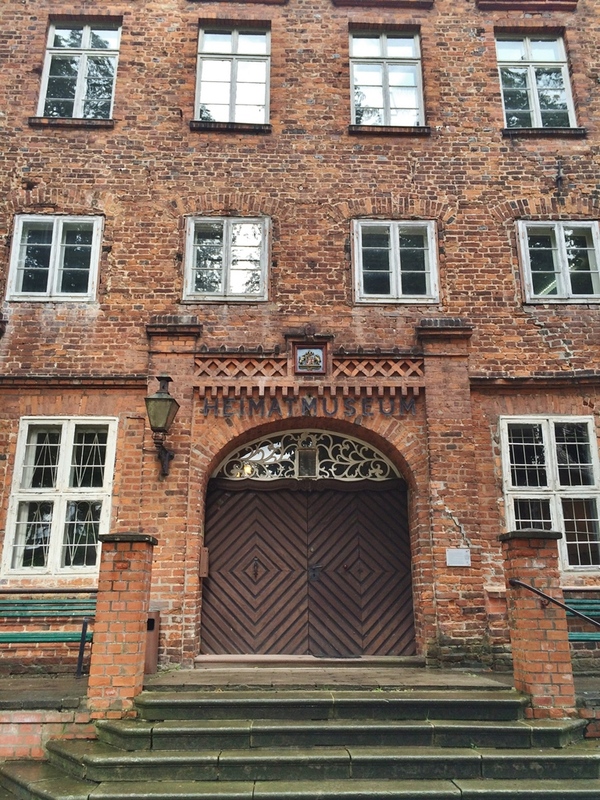 In 1953, a museum on local history was opened in the Commander's House. Remember though what I told you about the Elbe always being a bit of a natural border? Well, it became a very fixed border during the 1950's dividing the two German states. 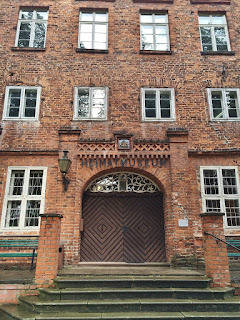 Dömitz lay on the Eastern bank and thus was a part of the German Democratic Republic. Being so close to the border, Dömitz lay in the restricted zone where only people with special permits could live and work - thus only very few could actually visit the fortress. This only changed in the 1970's when the small border traffic (for people living East of the border, naturally) was introduced. 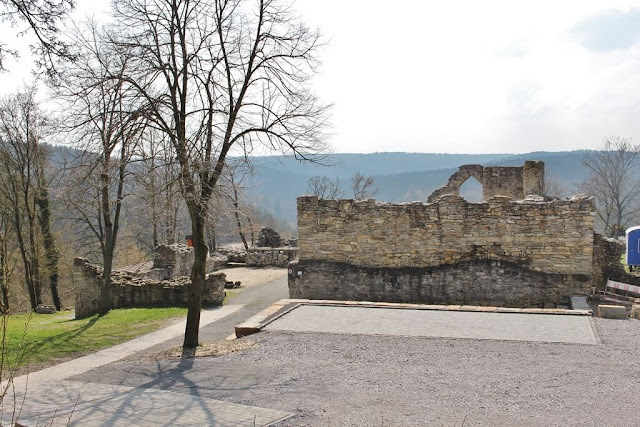 The Festung was added to the list of protected landmarks in 1975 and remains a museum about local history to this day, which will be especially interesting to you if you are German. 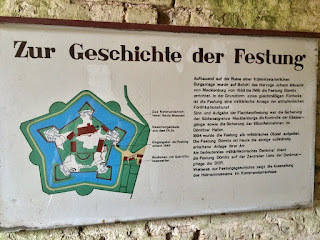 The Festung Dömitz is open to visitors between May 1 and October 3, Tuesdays to Fridays from 10am to 5pm as well as on Saturdays, Sundays and holidays from 10am to 6pm; between October 4 and October 31, Tuesdays to Sundays and holidays from 10am to 4.30pm; as well as between November 1 and April 30, Tuesdays to Sundays between 12pm and 4pm. Admission per adult is 5,50 euros. For more information, have a look here.